TuneUp Utilities 2013 was recently released and we’re delighted to hold a giveaway of the latest version of TuneUp, third time in a row since past few years. The avid Windows users out there must be aware of this software which is preferably one of the most powerful and full-featured tweaking utility, offering efficient solutions to clean, optimize, customize and troubleshoot various problems related to Windows OS. 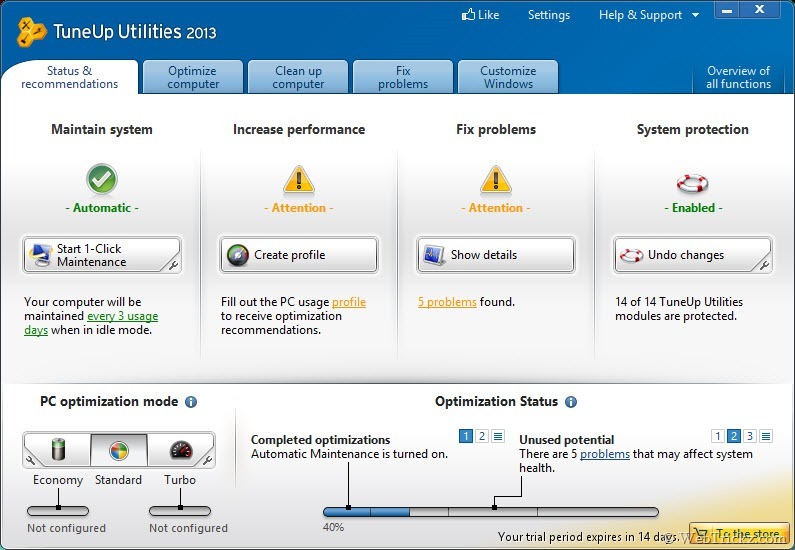 TuneUp Utilities 2013 is an award-winning PC optimization software that guarantees better performance and a clean PC when compared to its former versions. The 2013 version introduces advanced new features that allows you to clear system clogging files from more than 150 popular programs, remove residues from 25 browsers, detect and safely turn-off the most resource-hungry applications on your PC. Besides Windows 7, Vista and XP, it is compatible with the new Windows 8 OS. TuneUp Disk Cleaner 2013 – The new disk cleaner has the ability to clean system clutter 6X more thoroughly than before. It scans and detects all the unnecessary system-clogging files and temporary data from over 150 programs, cleans remnants for 30 different Windows features including Media Player and Microsoft Installer. Such stuff combined includes: Temporary files, reports and logs, Prefetch files, Recycle Bin data, Old restore points, Windows Update backups, Temporary installations files, Caches, etc. What’s handy here is that you can choose to clean up only the desired items by checking the necessary categories. This certainly makes your system faster and lets you regain gigabytes of lost storage. 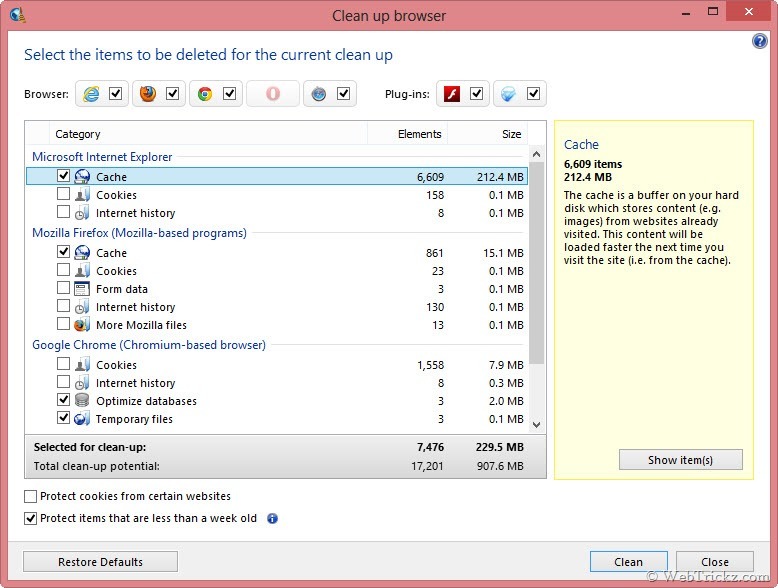 TuneUp Browser Cleaner 2013 – A browser clean-up tool to protect user privacy and fix browser problems by removing the desired browser related stuff such as Cookies, Cache, Internet History, Form data, Temporary files, and Plugins cookies as well. It is capable of removing traces from over 25 browsers including Internet Explorer, Google Chrome, Firefox, Opera, Safari. This also helps you free up disk space by deleting all the temporary browser data that gets accumulated over time. TuneUp Live Optimization 2.0 – The new improved Live-Optimization 2.0 offers a quick and efficient solution to identify resource-hungry applications and lets you disable those program. This helps in boosting the system performance instantly and prevent high CPU usage. It automatically and intelligently assigns a higher resource priority to active programs, thus giving them a performance boost and enabling the best optimized PC. Other background process consuming high resources are put on ‘standby’ to prevent the currently running programs from slowing down. Those interested can visit here for ‘Detailed Benchmark Results’. While installing TuneUp Utilities 2013 and selecting custom installation, we were surprised to see that the program being a shareware now includes AVG Security Toolbar as a sponsored product. So, to avoid such add-on apps it’s recommended to select custom installation and make the preferred choice. 1-Click Maintenance – This is the most essential tool of TuneUp suite and probably the frequently used one too with primary objective to clean up, make PC faster and improve its performance. One click initiates the analysis and lists all the ongoing problems which can be fixed in a click or you can choose to fix the issues individually. There is an option in settings to specify which maintenance tasks should be carried out and even it can be fully automated using the enhanced Automatic Maintenance. This is the most easiest and quick way to fix registry issues, remove broken shortcuts, delete temporary files, defragment hard disk and registry, and more. PC Optimization mode – Choose between Economy, Standard and Turbo mode. TuneUp Program Deactivator – Easily disable infrequently used programs in order to conserve system resources and turn your PC faster. TuneUp Shredder – Securely delete files and folders from your computer. *Windows must not have overwritten the drive space that these files took up. 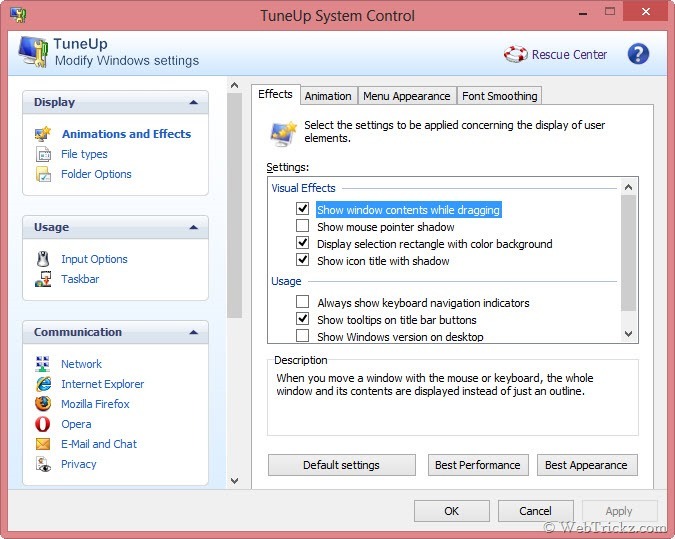 Personalize Windows – TuneUp System Control and TuneUp Styler offers interesting and smart options to modify Windows settings and change its appearance. TuneUp System Control packs more than 400 hidden Windows and program settings. The suite serves access to over 30 tools – more speed, better stability, less problems. Fully compatible with Windows 8 – Adds various function shortcuts to Metro screen. Tip – Pin the program shortcut to taskbar and right-click to access most of the frequently used TuneUp utilities. We’re offering 5 Free genuine licenses of TuneUp Utilities 2013 which actually costs $49.95 each. The license has no expiration date. Tweet about this giveaway on twitter. Remember to leave a valuable comment below along with your tweet status link. (Use the Tweet button below to tweet). Share about this giveaway on Facebook and make a comment below along with your Facebook post link. (Use the ‘Like’ button below to share on FB). Note: Making a comment below is necessary in both of the above rules. 5 Winners will be chosen from the comments section below and results will be announced on October 20th. ~ Thanks TuneUp Corporation for sponsoring this giveaway. Thanks. The new version looks promising and have new additions from 2012 version. Hope to win it. 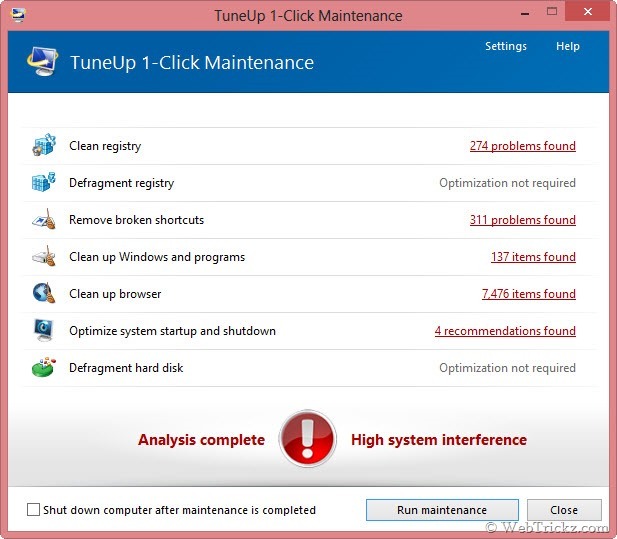 Tuneup is most popular tool of keep maintain PC and it can easily handle error with lots of the quantity such as registry errors, short errors, junk files, etc with many useful tool to perform other task like defragment it automatically take action after one-click maintenance i would like recommend to all normal use who want to keep free from error and many other problems of their PC. Thanks. Please count me in. TuneUp Utilities is one of the best system utility suite. Nothing beats its Program De-activator feature. Thanks For campaign.Good System optimize program. Really great software and really great giveaway! Thanks TuneUp Corporation and Webtrickz for this chance to win! Best Regards. I really love this give away as my laptop requires PC tuning but i couldn’t buy PC tuneup utility so far. I would be grateful to webtrickz team and PC tune up developers if i can get one through your blog. I’m regular reader of your articles and tricks. TuneUp Utilities is an excellent tool for optimization. Thanks to WebTickz for the opportunity to optimize and repair errors in my PC. Nice one. Please count me also. Thanks giveaway great. I like this very much. I hope i will receive 1 license. Choose me plz! This is a very good software. I tried using this software before and it fully optimize my computer. Now my computer is perfect, occasionally my computer will lag; with the help of TuneUp Utilities, my computer is like a brand new computer. Since WebTrickz is giving away the software for lifetime license, I would really hope that I am one of the person who will be receiving this privilege. Adding on, I am also a huge fan of your article. Looking forward for your replies. Thank You for this Giveaway. TuneUp Utilities 2013 is a premium software got more features compared 2012 and control better power hungry process. This is a top software to have clear mind while using windows, everything can work in the background and do not slow pc, better it optimise start and shut down process. Pleas Mr.Mayur Agarwal, i always read your articles, i am the fans of webTrickz 🙂 plss give me. TuneUp 2013 is a very good software. Thanks for the contest. Shared & Liked, used this a while back, it just gets better & better, out of my price range at the mo so entering this Comp to try my luck so thanks for this and count me in please. I’m always waiting the newest version of TuneUp and it’s time. Tune up utilities is the best for solve problem. Count me in please I love this software. From last week, I’ve been using the trial version of TuneUp Utilities 2013 and it seems to be very cool. The new advanced Windows & programs cleaner & browser cleaner is very useful. 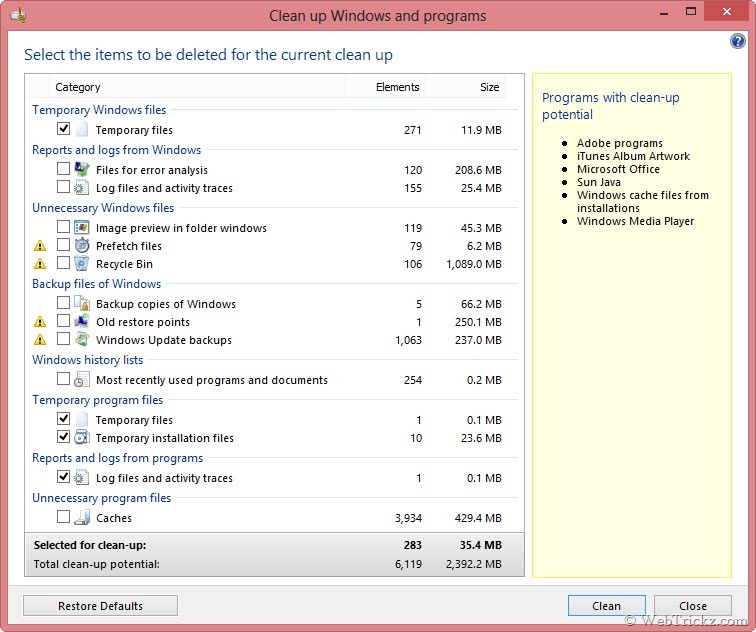 In the 2012 version, it was not so useful because it had very few sub-options for cleaning and does only normal cleaning. And it does everything deeper and faster. Thanks for Giveaway and wishes all participants-good luck. Please give to me I need it! I’m using windows 7 x64 and tuneup utilities 2012, It is the great optimize system software, top 10 in the world. hope can win the newest version of tuneup utilities 2013. Please count me in. THANKS. Very nice review and thanks for the giveaway. I would like to win a license. TuneUp Utilities is my favorite program. I hope I win 🙂 Please count me in. TuneUp Utilities keeps getting better and better. Keep up the good work!!! This software is one of the few good softwattres in the market that achieve the cleaning job really really well. Hats off to Tune Up team for making it more awe….wait for it….some !!!!! Tweeted as well as shared on Facebook. This is a much improved version. Please count me in. Thank you. Thx TuneUp Corporation for this Product & Keep going. TuneUp utilities has a a long backround in Windows optimization filed, and the 2013 has all its predecessor experience plus some novelties. 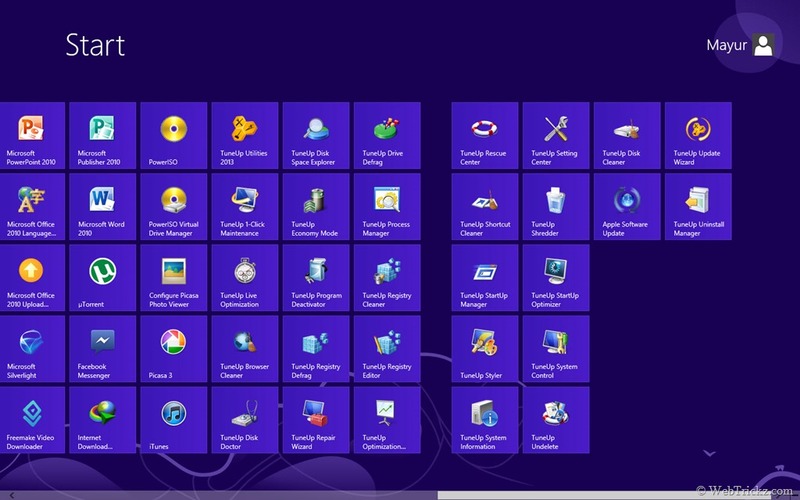 I have tried many system utility programs but surely TuneUp Utilities is the best among the rest! It is by far the most reliable, effective & powerful program to keep system healthy. Please count me in for this great giveaway. I do not want to miss the opportunity to win such a wonderful software..
Hope I will be one of those lucky winners.. Thanks for the helpful review and for the giveaway! Trying out the 2013 version right now and really liking it. Would love to win a license. PLEEEEEAAASE! 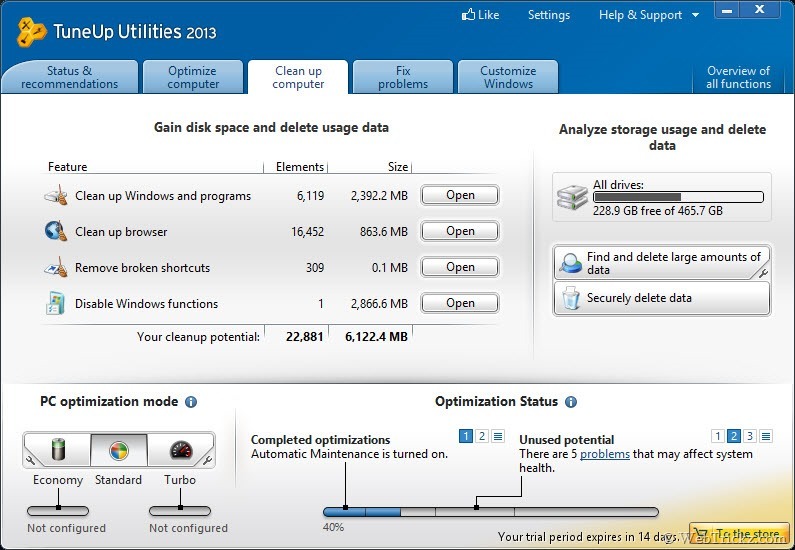 TuneUp Utilities 2013 is fantastic software to speed up your computer and much more! 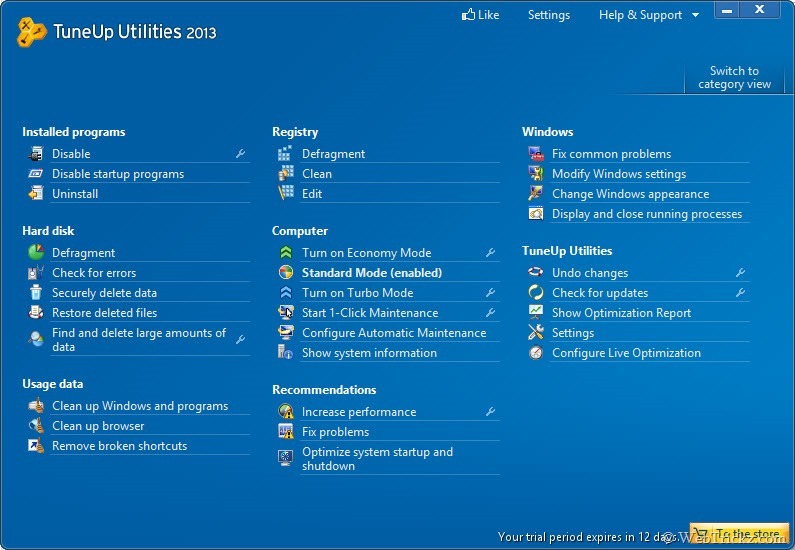 I’ve tried TuneUp Utilities 2013 and find its the easiest way to keep my pc running smooth and fast. All the features are useful and keeps productivity high. Thanks. Thanks for the wonderful giveaway. Great! Good luck for everyone!! I desperately need the new tuneup utilities, i recently upgraded to windows 8 and its too heavy on my PC.